I bought a headlight for my bike a while ago, and lately I’ve been going out at dusk for a ride. One nice part about Ottawa on bicycle is that there is an excellent network of bike paths and bike lanes that can get you pretty much anywhere. And it’s been hot lately, with the humidex around 35 C during the day (and probably pushing 40 C today), so the only time I want to spend a lot of time outside is after dark. Here’s the route I took last night, leaving at sunset — 20 km (12.5 mi), about half of that along the canal or river where it’s cooler. Started out heading south along Island Park, then across the Experimental Farm, north along the Rideau Canal, around the Parliament Buildings to visit the Cats on the Hill (and a couple of raccoons enjoying some cat food), then back home along the path along the Ottawa River. That last path is completely unlit, so I’m glad my light provides “see” intensity and not just “be seen”. (To get an idea, see here, and then click on “Blaze”. Also check out the HID light at the bottom of the list — wow!) It’s not that bright, but once my eyes get used to the dark I can keep up a decent pace along the bike paths. I mount the light on my helmet so it goes where I look instead of where my handlebars point, which also lets me point it further down the path when necessary. Hrm, what is my usual pace, anyhow? If that’s a 20 km ride, and I stopped for ten minutes to visit the cats and raccoons, then I averaged about 15 km/h. That’s ok, considering I had to slow down a bit on the last 1/3 because of the darkness. 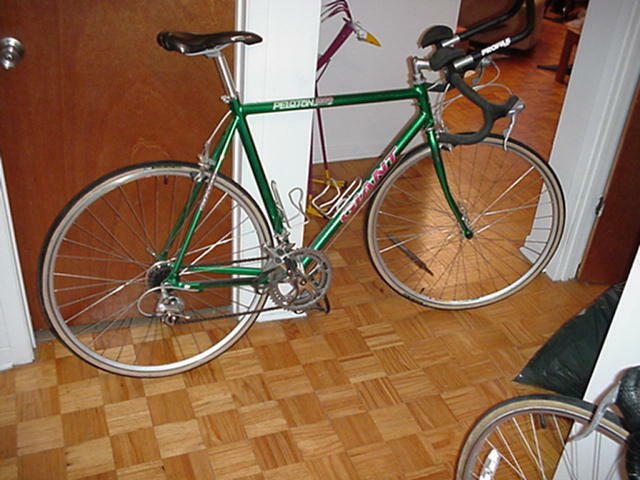 I should think about getting my road bike back from my mother’s garage. I’m just not sure where I’d put it. Maybe I’ll save that for next summer.